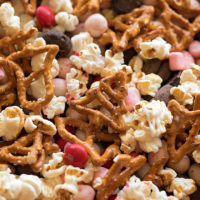 This sweet and salty peppermint snack mix is loaded with pretzels, popcorn, almonds, and peppermint candies. Kids and adults will love it! 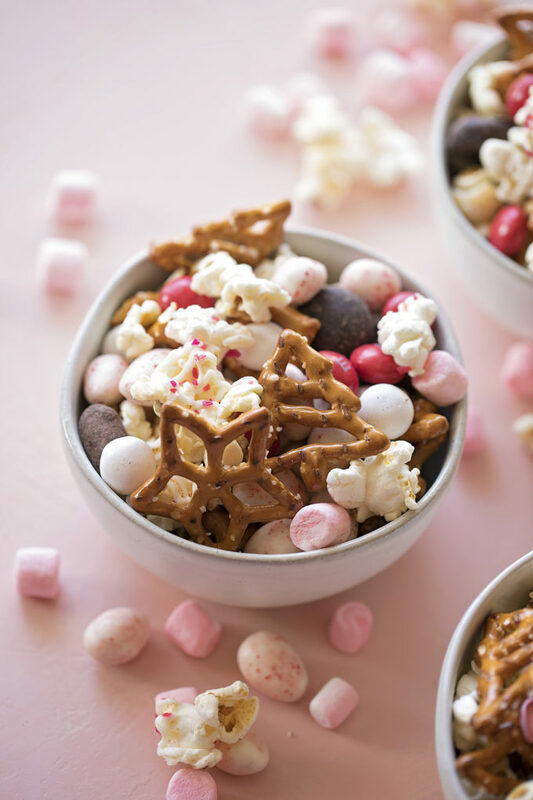 You may have guessed by now, but we love snack mixes! 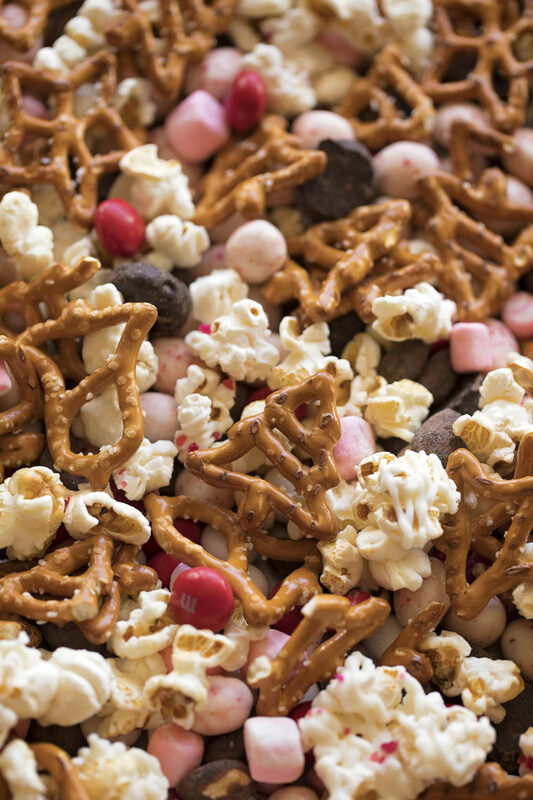 We regularly make our after school snack mix, which is more of a snack and less of a treat. For holidays, we go all out! 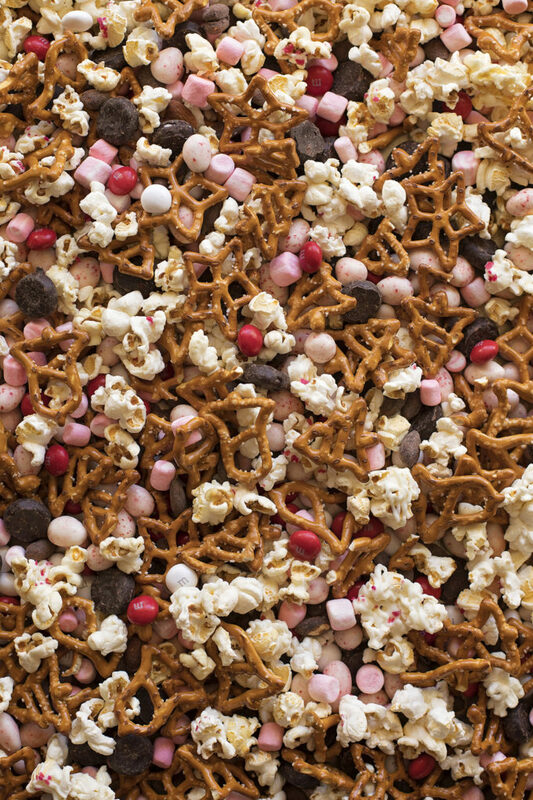 One batch of this sweet and salty peppermint snack mix lasts us all month long. It’s loaded with all sorts of goodies, most of which can be purchased at Target or well stocked grocery stores. If you can’t find a certain item, by all means, swap it for something else- that’s what snack mixes are all about! Use what you’ve got or what you can find. The recipe (can I even call it that?) for this peppermint snack mix is super, super simple. Gather your ingredients and toss everything together! You don’t have to arrange it all fancy on a cookie sheet like I did 😂, that was just to make it easier for you to see each individual component. 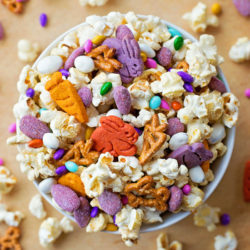 This is a loose snack mix. It’s not held together by anything. I’ve added instructions in the NOTES section below incase you’re interested in coating it in white chocolate. You can portion out the snack mix into individual baggies to give away, or you can store it in a large airtight container for up to 1 month. I doubt it will last that long, but we generally make this around the first of December and finish it off on Christmas Eve. 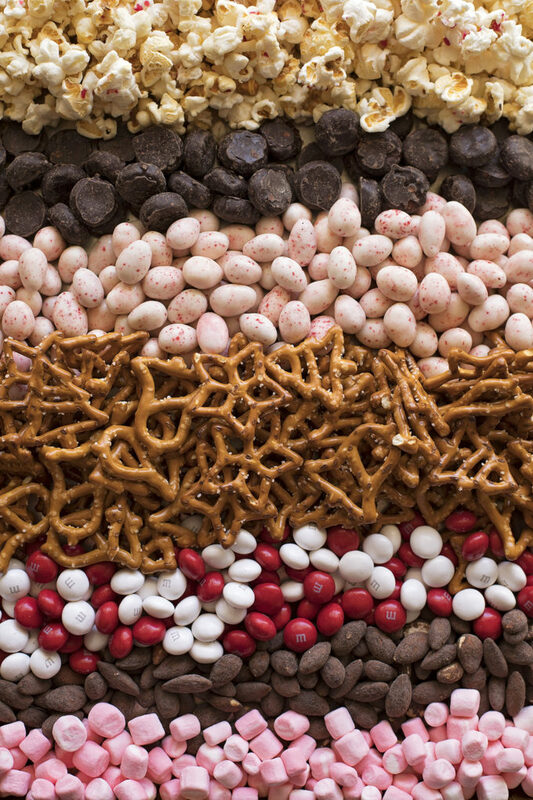 We BIG fans of peppermint, so this snack mix is always a hit! We hope you’ll love it as much as we do! Need more recipes? Subscribe to my email list! Simply enter your email in a subscription box located on the right hand side of the blog or scroll below the recipe and sign up there. You’ll receive posts, newsletters and so much more! BE SURE TO FOLLOW ME ON FACEBOOK, INSTAGRAM & PINTEREST! Toss all ingredients together, store in airtight container. -Other optional add-ins include: Frosted Cheerios or Rice Chex. 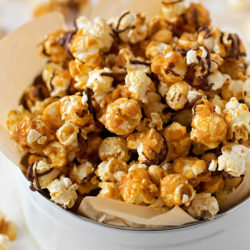 -This is a loose snack mix (treat, really). If you want it to "stick" together, melt 5 oz. 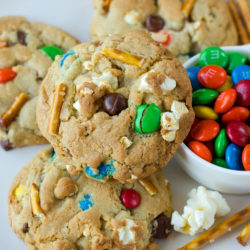 of Ghirardelli White Melting Wafers and drizzle over the sheet pan of mix. Let it set, then break it apart. This will make clumps without coating everything (which in my opinion would be way too sweet). Did you make this recipe? Share it on Instagram and tag it #LMSbakes. I love to see your creations! This is something my kids would gooble right up! It looks delicious… and festive!